Today I want to talk about steel: the metal that made the world! First seen more than 4,000 years ago, steel has shaped the way we build things, and the fortunes of many an empire relied on the ability to create with the material. At its most basic, steel is an alloy of iron and carbon to which other elements are added to modify the properties for desired traits. Adding chromium and nickel get us a range of stainless steels, adding tungsten or cobalt creates very hard tool steels. The alloying elements are added in a variety of ratios and in ways to create a broad range of steel alloys with vastly different properties. Steel is also the most widely used metal in history. In 2016 alone, the world saw more than 1,700 million metric tons of crude steel produced, which went on to become thousands of different usable alloys. Steel boasts more than 3,500 different alloys compared to the next most widely used metal, aluminum. Aluminum’s paltry 530 alloys fall dramatically short of the wide variety of materials capable of being made with iron and carbon and a few other ingredients. And the ability to finely manipulate those ingredients has made some of the most incredible things possible in the last 150 years. 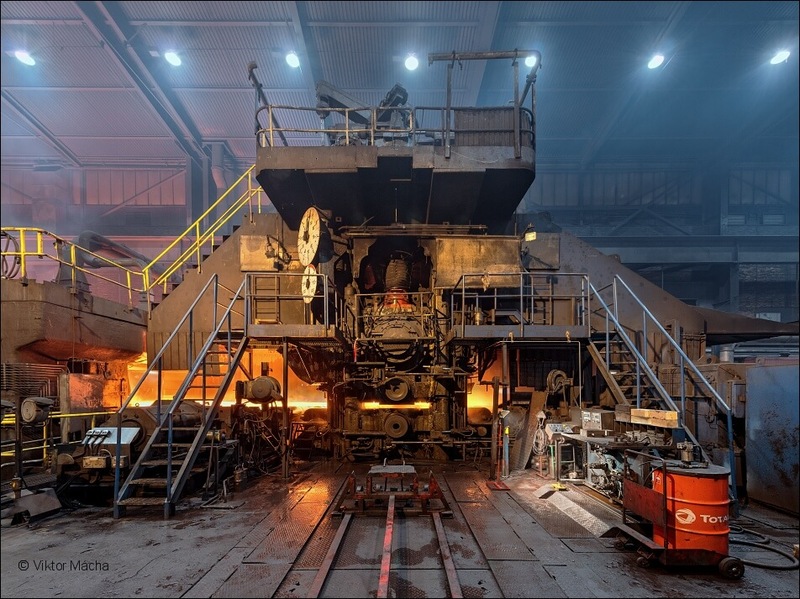 Modern steel production can be said to have begun in the mid-1850s with the invention of the Bessemer process, a method of purifying molten iron by blowing air through it. This changed again dramatically in the 1950s with the development of the Linz-Donawitz process of basic oxygen steelmaking where, similar to the Bessemer process using air, iron is purified via oxidation when oxygen is blown through molten iron, reducing impurities and creating a clean base for alloying. This led to an explosion of steel alloys as the process was more accurate and consistent than ever before. The variation among the alloys may be chemically small, but the results are huge. The main changes happen at the atomic level where the alloying elements change how the atoms can move and/or bond to other atoms, altering the macroscopic properties of the bulk material. Why is this important? What does the process of steel production have to do with watches? Steel in its many forms is a very versatile material but, due to their specific properties, only a few of the thousands of alloys are practically usable in watches. Some are too soft, too hard, or too brittle; some are magnetic, some rust too quickly, some react with your skin, some corrode in saltwater, and some won’t take a polish. Steel can be categorized in many ways, but the simplest breakdown based on the chemical compositions results in four categories: carbon steel, alloy steel, stainless steel, and tool steel. Of course all of the categories have alloying elements, but the titles seek to differentiate the basic purpose of each category. Carbon steels are mainly alloys of iron and carbon with very small amounts of other elements for stability and workability. Tool steels, on the other hand, are usually steels featuring a high carbon content and a specific element added for extreme hardness and rigidity. Stainless steels feature elements (like nickel and chromium) that are resistant to oxidation and produce a less reactive metal. Finally, alloy steels represent the bulk of the steel alloys (hence the name) and feature a variety of added elements such as manganese, silicon, nickel, titanium, copper, chromium, aluminum, molybdenum, vanadium, tungsten, cobalt, sulfur, phosphorus, and others. Out of the four general groups, all steels fall into one of nine alloy series, which are given four- (or sometimes five-) digit numbers to differentiate the alloys easily and provide clues to their makeup. Numbering from 1xxx to 9xxx, each category has a primary alloying ingredient, for example 3xxx are nickel-chromium steels, while 1xxx are the plain carbon steels. With regard to the four groups above, different numbered series can fall into the same general categories. Tool steels usually aren’t used for watchmaking, but the other types can be. Plain carbon steel might have been used more in earlier watchmaking history for things like shafts and pinions, but this has reduced, and now that role is usually taken by an alloy steel that can be more precisely hardened after the part is made while retaining other attributes like anti-corrosion and anti-magnetic. But it isn’t just shafts and pinions: special alloy steels are used for mainsprings and hairsprings, where in many cases the exact alloy is a closely guarded secret. This even extends to repeater gongs, in which case almost no one will divulge exactly what steel was used to create the gongs to maintain a competitive edge. What isn’t a secret is that plates, bridges, escapements are all things made from alloy steels. The last group is also probably the most obvious: stainless steel. Cases and other movement components are commonly made from certain stainless steels, 304 and 316L being the most common. 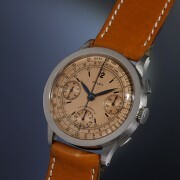 It also happens that some brands hold exclusive rights to use a specific alloy in the production of its watches. Rolex, for example, uses 904L stainless steel for its cases, yet does not prohibit others from doing the same. Instead, the sheer difficulty of using the steel dissuades others from making a go. Sometimes, a brand is the first to use a specific steel alloy and as a protective measure keeps it a mystery as to which exact type it is. Czapek is the most recent example I know of, and one that I researched extensively when I first wrote about the brand in Calling On The Village: Czapek & Cie. The stainless steel that Czapek uses is dubbed “XO” steel, though this seems like a red herring to throw us off the trail. Based on the descriptions of the steels used and the name of the company Czapek worked with to develop it for use in watchmaking, I had originally posited it might be a super or hyper duplex stainless steel due to its extreme anti-corrosion properties. I published the article and moved on to the next story, but the identity of the steel continued to bug me. Through a series of conversations and a few hints from Czapek CEO Xavier de Roquemaurel, I was able to narrow it down quite a bit more, ascertaining that it was a duplex steel. As a further hint in an email, I was given the name Outokumpu, which, it turns out, is a specialty stainless steel manufacturer. The following year at Baselworld 2017 I was told to focus on the PRE value, otherwise known as “pitting resistance equivalent,” which shows how corrosion resistant a material is. The higher the number the more resistant the metal can be. Given all of the data and hints, I think I can make an educated guess as to what the specific alloy is that Czapek calls XO steel. Outokumpu produces a range of super duplex steels called Forta, and they are, like the XO steel, used in highly corrosive environments. The Forta range has eight different alloys, and the alloy with the highest PRE value (43) is the Forta SDX 2507, a chromium-nickel-molybdenum alloy used in offshore and deep-sea environments. This could very well be the secret steel that Czapek has been using for its steel cases all this time, and a good secret it stayed perhaps until now. If this is the secret of the XO steel, then you heard it here first! If this is the secret of the XO steel, then you heard it here first! XO steel is a great example of looking for just the right steel with all the right properties to make something extra special. This happens all the time in many industries, though usually with much less exciting results. Steel alloy selection is a difficult task that can take metallurgists hours or days of calculations and research as well as further testing to find the proper material for the application. It requires a good understanding of chemistry and what exactly you want in your metal properties. Any factor can be chosen for heat treatability, tensile strength, elasticity, shear strength, machinability, and, of course, corrosion resistance. It all depends on the exact ratios of the alloying elements and the process used to create the steel. The ability to mix and match properties to such a high degree is what has kept steel on top as the world’s leading metal – and as a valuable commodity in the watchmaking world. While this primer on steel barely scratched the surface of what the metal is and what it can do, hopefully it sparked an interest in what it is capable of and what it can be used for. Steel truly is an amazing material, and the science and technology behind it is awe-inspiring. Despite all the hubbub about titanium, ceramic, silicon, carbon, and of course the precious metals gold and platinum, steel remains one of the most versatile materials in watchmaking. If you look around, you will see that it is what the watch world runs on from mainsprings to hairsprings, pinions, and escapements. Love Quill & Pad exactly for articles such as this one. Goes a lot deeper than typical watch magazines and sites! Thanks, Han! I’m glad we can share more technical articles to give those interested a bit more. Thanks for reading! How does this XO steel stack up against the “submarine steel” used by Sinn of Germany?